Spring Hill Parks and Recreation will host a Skate Contest and Graffiti Art event at Walnut Street Skate Park in south Spring Hill. All levels of skaters and graffiti artists are welcome. 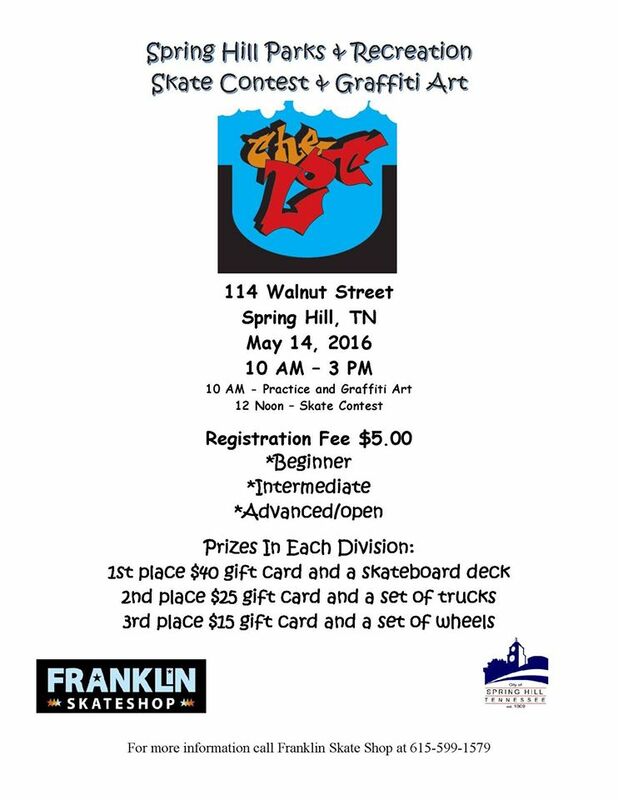 The skate competition will include beginner, intermediate and advanced/open competition categories. See event flier for prize details.